Has Funnel uploaded my data to Google Analytics? If you want to see what the status of your Google Analytics upload is, navigate to GA upload in the left menu. In the top right corner of each Google Analytics Property you're uploading to there is a "Details" button that opens up a modal window with more info. 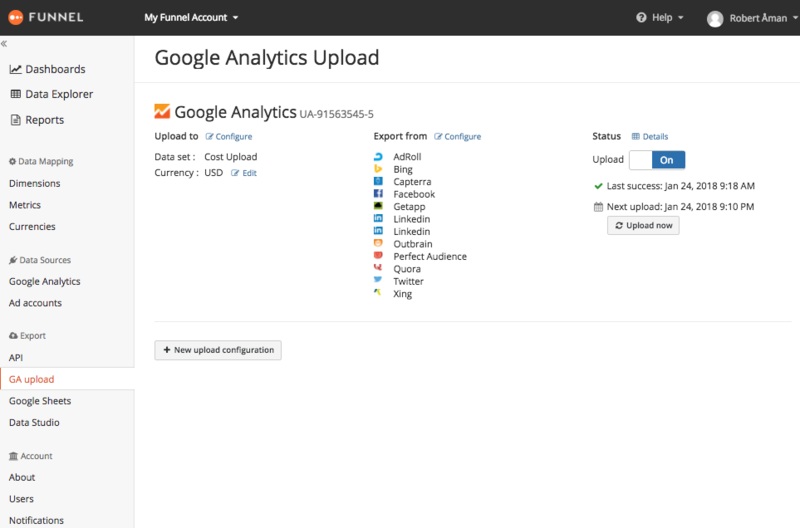 Funnel uploads data in quarterly files to Google Analytics. For each file you can download the latest file that was uploaded to examine its contents. You can also see the status for each file and if Funnel has encountered any errors. 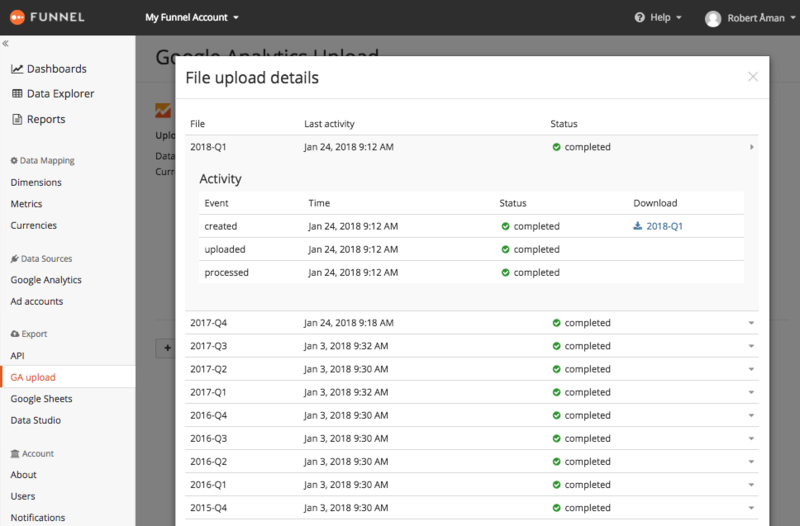 If Funnel is indicating green checkmarks for all three events (created, uploaded, processed) this means Funnel has not encountered any errors while creating and sending the data to Google Analytics. If the data you're seeing in Google Analytics does not correspond to what's in the uploaded file this is usually due to Google Analytics needing some time before it displays the uploaded data.